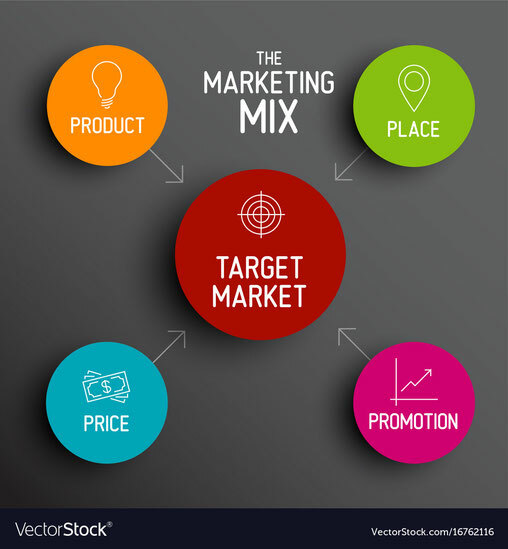 Marketing consists of all the activities of individuals and organizations designed to identify, anticipate, and mutually satisfy the needs of all parties involved in the exchange. The total of activities involved in the transfer of goods or services from the producer or seller to the consumer or buyer, including advertising, shipping, storing, and selling. 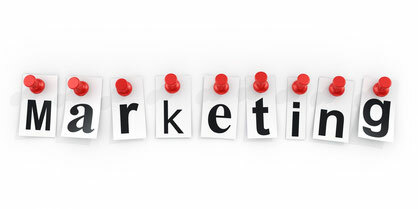 Marketing is typically seen as the task of creating, promoting and delivering differentiated goods and services to consumers and businesses at a profit. Product / Value proposition / Consumer wants and needs. Product: This variable described all factors relating to the actual product visible to the consumer. These may include things such as quality, features, options, style, packaging, brand, sizes, labels, variety, and warranties. Price: The price variable includes not only the list price, but all other pricing factors associated with a product. These may include discounts, allowances, payment options and periods, and credit terms. All of these are related to the final, whole price of the product. Place: Place deals with all distribution and location aspects of a product. How and what are the products available to consumers? These may include assortments, channels, coverage areas, locations, and inventories. Promotion: Promotion is any and all efforts by a company to make publicize a product and make the consumer aware of it. Efforts might include advertising, personal selling, sales, public relations, or internet activities. Market Segmentation: Market segmentation is the act of subdividing the market into a group or groups of people who have similar needs within the group, but dissimilar needs across the groups. An example would be people wanting cars, but different types of cars. The different types of cars may be luxury, sports , or SUV's. Targeting: The marketing mix should only be determined after a target market is determined. Target market: The group or groups of customers for which the marketer will direct attention. This group is determined after thorough segmentation and analysis of the market. 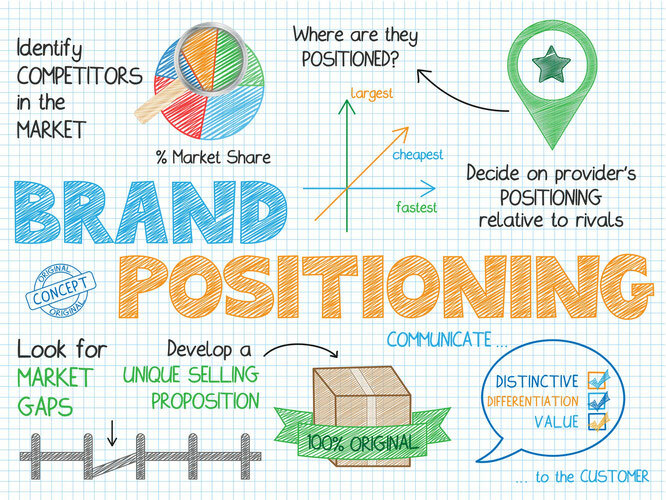 In marketing and business strategy, market position refers to the consumer's perception of a brand or product in relation to competing brands or products. Market positioning refers to the process of establishing the image or identity of a brand or product so that consumers perceive it in a certain way. Brand equity is a marketing term that describes a brand’s value. That value is determined by consumer perception of and experiences with the brand. If people think highly of a brand, it has positive brand equity. When a brand consistently under delivers and disappoints to the point where people recommend that others avoid it, it has negative brand equity. 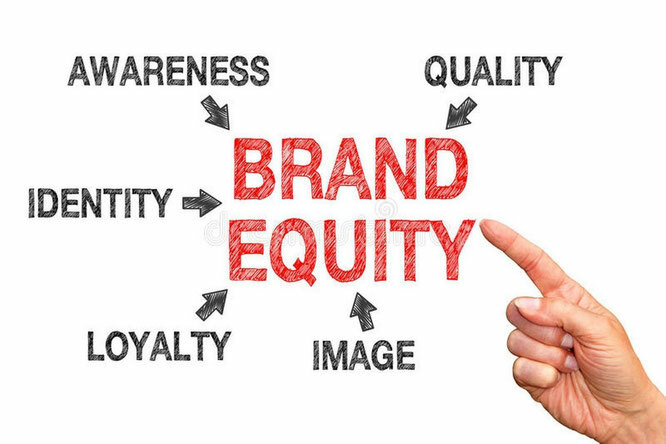 Brand equity refers to a value premium that a company generates from a product with a recognizable name when compared to a generic equivalent. Companies can create brand equity for their products by making them memorable, easily recognizable, and superior in quality and reliability. That equity can be transferred to line extensions – products related to the brand that include the brand name – so a business can make more money from the brand. It can help boost a company’s stock price. Awareness: The brand is introduced to its target audience – often with advertising – in a way that gets it noticed. Recognition: Customers become familiar with the brand and recognize it in a store or elsewhere. Trial: Now that they recognize the brand and know what it is or stands for, they try it. Preference: When the consumer has a good experience with the brand, it becomes the preferred choice. Loyalty: After a series of good brand experiences, users not only recommend it to others, it becomes the only one they will buy and use in that category. They think so highly of it that any product associated with the brand benefits from its positive glow. Economic environment: The financial and economic conditions in a country will determine demand for any and all products. Competitive environment: The intensity of competition in the market the business is in cannot be controlled. Physical environment : Availability, use, and disposal of natural resources. Technological environment: Determines how the marketing should be done. What medium should be used? Political and legal environment: Laws and restrictions may be set by various government agencies in regard to competition, consumer protection, or societal welfare. Social/Cultural environment: What is acceptable in what culture may not be acceptable in another. Company related environment - Goals and objectives of the company as a whole. Digital marketing encompasses all marketing efforts that use an electronic device or the internet. Businesses leverage digital channels such as search engines, social media, email, and their websites to connect with current and prospective customers. 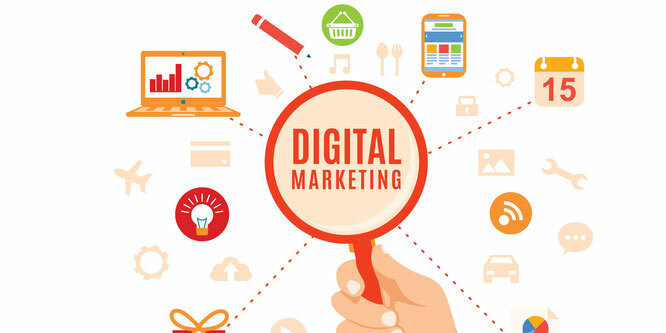 Digital marketing, the promotion of products or brands via one or more forms of electronic media, differs from traditional marketing in that it uses multiple channels and methods that enable an organization to analyze marketing campaigns and understand what is working and what isn’t – typically in real time. 4) Personalization: If you want to stand out in 2019, you need to personalize your marketing – and that means personalized content, products, emails, and more.